Armed with a tailored mix of brand advocates powered by BDSmktg, Garmin has been able to change perceptions of their brand and achieve sales success in the highly competitive fitness wearables category. The partnership with Garmin is one built on a foundation of integrity and a commitment to excellence. They are supportive of the field team and continue to provide the team the tools and resources to be successful in their daily activities. As such, they are an outstanding partner to BDSmktg and we continue to look forward to new ways to deepen our relationship. For over two decades, Garmin had been a household name, mainly known for their innovative navigation systems. However, as consumers began to turn away from separate GPS devices and instead relied on their smartphones, Garmin needed a new plan of attack to keep their brand top of mind. They realized that there was a large opportunity in fitness wearables due to a growing emphasis on healthy living among millennial consumers. However, changing ingrained consumer perceptions of the Garmin brand and driving sales for their new fitness products required a major boost on the ground at retail. Garmin first partnered with BDSmktg during the holiday season to increase brand and product awareness, influence perceptions, and drive sales in the fitness wearable and automotive categories. The BDS team worked with Garmin to develop a custom Assisted Sales Program with a heavy emphasis on recruiting on-brand talent and optimizing the coverage to achieve the biggest sales and mind share lift. 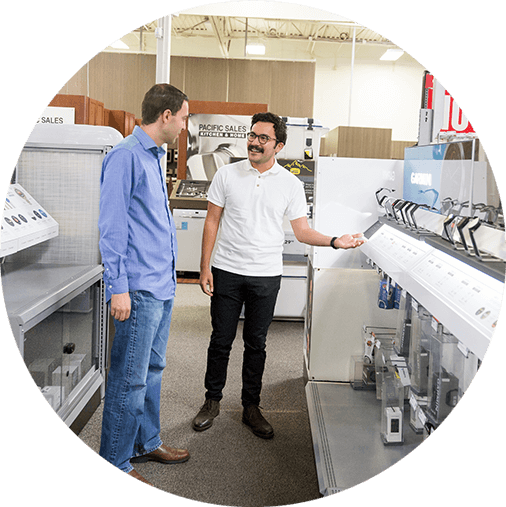 While in-store, representatives engaged with consumers, demoed new products, and trained store associates on updated brand and product messaging, in addition to monitoring inventory levels. Because their first holiday program with BDS was so successful, Garmin continued to work with BDS for subsequent holiday seasons, deploying additional teams of sales experts to stores. The partnership has since grown to a full-fledged annual dedicated program. 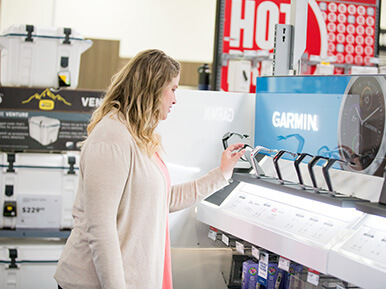 Despite covering less than a third of all stores, locations that were covered by our team accounted for 44% of all Garmin sales. Covered locations saw an average of 50% increase in sales ranking compared to uncovered stores. The largest percentage increase by a covered store was 11,967%, jumping from rank 724 to rank 6. 30,861 consumers came in looking for a competitor brand and our team influenced 39% of these consumers to considering Garmin instead.